le chaudron de vulcain – April 06 , 2019. EN. Indonesia : Merapi , Kamchatka : Sheveluch , Chile : Copahue , Indonesia : Bromo , Guatemala : Fuego . Home / blog georges Vitton / April 06 , 2019. EN. Indonesia : Merapi , Kamchatka : Sheveluch , Chile : Copahue , Indonesia : Bromo , Guatemala : Fuego . 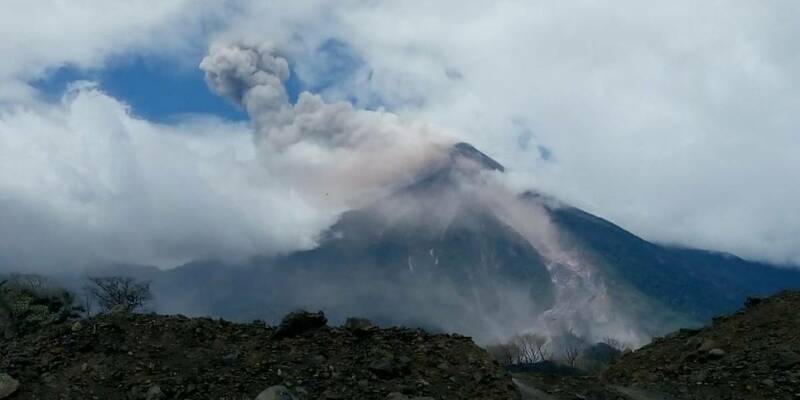 Mount Merapi Activity Report from 29 to 04 April 2019. The weather around Mount Merapi is usually sunny in the morning and in the afternoon and evening the weather is cloudy and foggy. There is a thin white smoke, thick with low pressure. A maximum smoke height of 500 m was observed from the Merapi volcano observation post at Kaliurang on 4 April 2019 at 08h37 WIB. Morphological analysis of the crater area based on photos from the Southeast sector revealed no significant morphological changes. 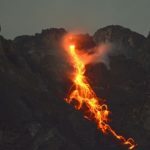 The volume of the lava dome is based on an analysis of aerial photographs with drones dated March 21, 2019 totaling 472,000 m3. 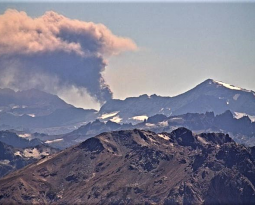 Since January 2019, the volume of the lava dome has been relatively constant due to the fact that most magma extrusions collapse directly upstream of the K. Gendol in the form of a lava avalanche and ash clouds. During this week, there were 8 times more avalanche clouds with a maximum slip distance of 1,300 m leading to the headwaters of Kali Gendol. The intensity of seismicity this week has increased compared to last week. 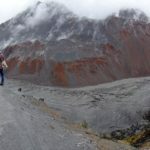 The deformation of G. Merapi, monitored by EDM and GPS this week, showed no significant change. This week, rain fell around Mount Merapi, with rainfall reaching 30 mm / hour for 110 minutes, measured at the Ngepos Merapi Observation Station on March 30, 2019. No cases of lahars or additional flow in the rivers descendant of Merapi has been reported. Photo : Yohannes Tyas Galih Jati. A growth of the lava dome continues (a viscous lava blocks extrude out on the northern part of it), a strong fumarolic activity and an incandescence of the dome blocks and hot avalanches accompanies this process. Satellite data shows the thermal anomaly over the volcano all week; explosions sent ash up to 7.0-7.5 km a.s.l. 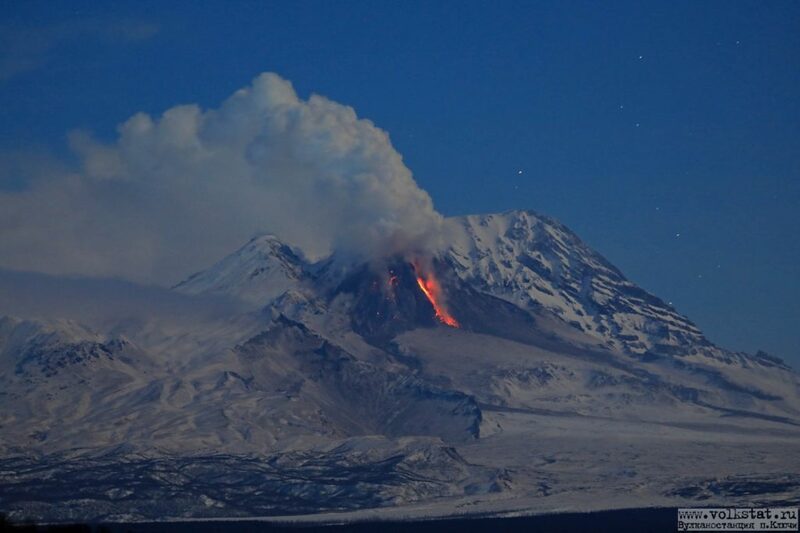 on 05 April, and an ash cloud drifted for about 550 km to the north-west from the volcano on 05-06 April. Photo : Y. Demyanchuk . During this period, 943 seismic events classified as volcano-tectonic (VT) were recorded, associated with fracturing processes of rigid materials. The event with the greatest energy (02 March 2019, 19:00 local time) obtained a local magnitude equal to M 3.6 and was located 11.5 km northeast (NE) of active crater El Agrio, 4.5 km deep. Similarly, 69 earthquakes associated with fluid dynamics were recorded under the volcanic building, classified as long-period type events (LP), with a maximum displacement value (DRC) of 4.7 cm2. In addition, 281 Very Long Period (VLP) earthquakes were recorded, with a maximum reduced displacement value of 16.5 cm2. 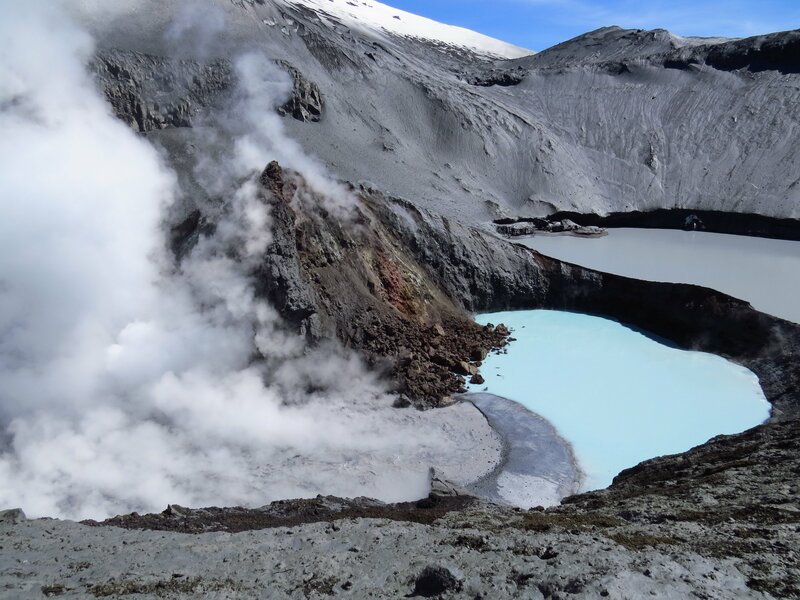 IP cameras installed near the volcano recorded a constant degassing of the active crater (El Agrio) at a maximum height of 280 m with emissions of white colors, when the weather conditions allowed to observe the volcano. According to the analysis of the data obtained by four geodetic monitoring stations, we observe that the trend shown over the last 3 months is maintained, with variations of low magnitude that do not exceed 0, 1 cm / month in the horizontal displacement, and a slight upward trend, less than 0.3 cm / month, in the vertical component, lower than the previous period. Sulfur Dioxide (SO2) emissions from Differential Absorption Spectrometry (DOAS) equipment at Mellizas, located 5 km east-northeast of the active crater, had an average value of 414 + / – 94 t / day for the month of March, with a maximum value of 956 t / day reported on March 18th. SO2 emissions are considered moderate if we look at the current state of the volcano. No thermal warnings were reported in the area associated with the volcanic building during the reporting period, according to the data processed by the mean infrared observation of volcanic activity (MIROVA) (http://www.mirovaweb.it/) and near-real-time thermal monitoring of global hot spots (MODVOLC) (http://modis.higp.hawaii.edu/) . The crater lake observed on the images of the portal www.planet.com shows variations of level, highlighting a decrease towards the end of the month of March. Volcanic activity has shown variations since February, with the occurrence and recording of abundant VT type seismicity, to which was added an increase in LP and VLP seismicity, the latter probably being associated with the volcano-tectonic process. The lake located in the El Agrio crater showed a decrease in its level compared to previous months. Seismic dynamics and fluctuating water volume may suggest a new magmatic feed at deeper levels. According to the characteristics shown during the previous and recent volcanic process by the volcano, it does not rule out the appearance of an imbalance of the magmatic system, implying the possibility of occurrence of minor explosions that would affect the surroundings of the crater and a increase in surface activity. 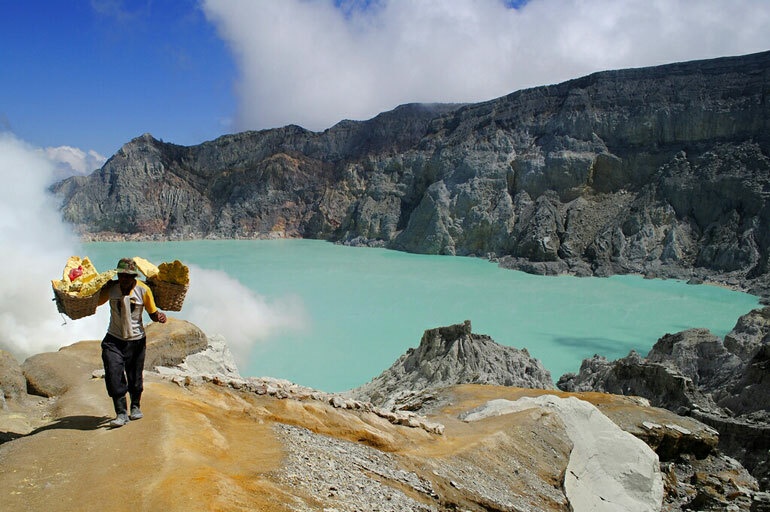 Observation: A 500m radius around the crater is considered to be the area of ​​assignment. Photos : clarin.com , Auteur inconnu. Eruption with volcanic ash cloud at 00h18 UTC (07h18 local). Eruption and ash emission is continuing. Best estimate of ash-cloud top is around 10333 FT (3229 M) above sea level, may be higher than what can be observed clearly. Source of height data: ground observer. Seismic activity is characterized by continuous volcanic tremor. Level of activity at Level II (WASPADA). The Bromo (2329 m above sea level) experiences prolonged eruptions. Since yesterday until this morning, it was clearly visible, then covered with fog. White to gray crater smoke was observed with low intensity to a maximum altitude of 700 meters above the summit. The wind was weak in the east and north-east. Thanks to the seismograph recordings dated April 4, 2019, it was noted: – Continuous tremor with an amplitude of 0.5 to 21 mm, dominant value of 3 mm. 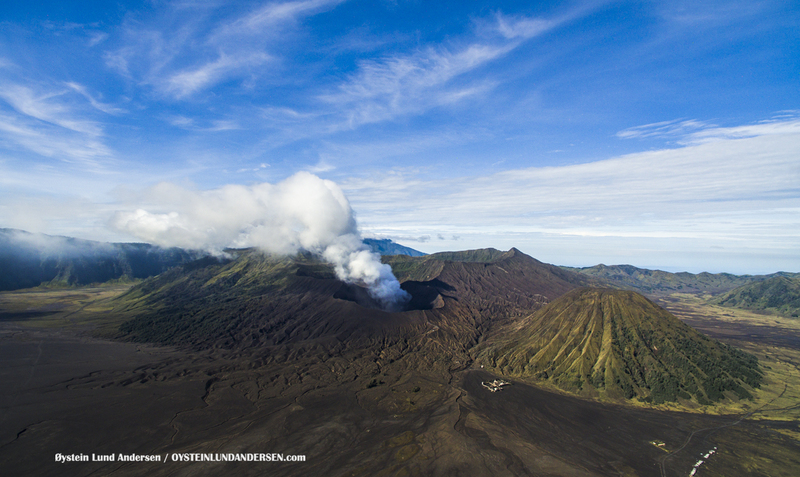 Recommendation: Communities around G. Bromo and visitors / tourists should not move within 1 km of the crater. Photo : Oystein Lund Andersen. Note: The parameters described below are given in the activity tracking reported in Bulletin No. 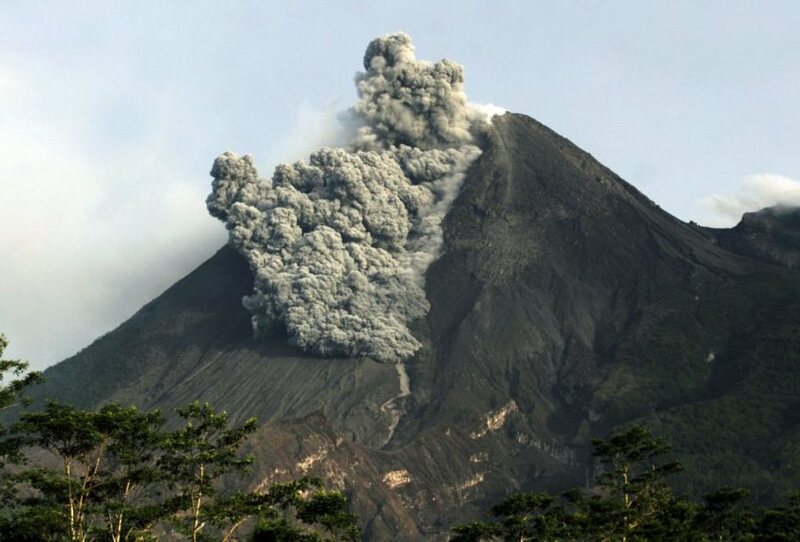 5-2019, where the reported increase in activity of the Fuego volcano in recent days is reported. Activity: Presence of white degassing fumaroles at a height of 4300 m (14108 feet), dispersing in a west and northwest direction. There are 14 to 18 moderate explosions per hour that expel columns of gray ash at a height of 4500 to 4800 m / l (14765 to 15750 feet) dispersing 10 to 25 kilometers to the west and northwest . At night and early in the morning, an incandescence of 200 and 300 meters above the crater was observed, generating weak and moderate avalanches on the crater contour towards the Seca, Taniluya, Ceniza, Trinidad, Las Lajas and Honda ravines. , with a recurrence of this mainly towards the Seca Canyon. 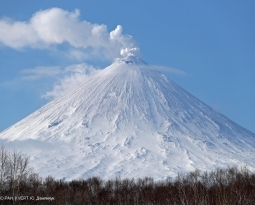 Low to moderate sound reverberations are perceived, which give rise to weak shock waves causing vibration in the roofs of housing communities near the volcano. 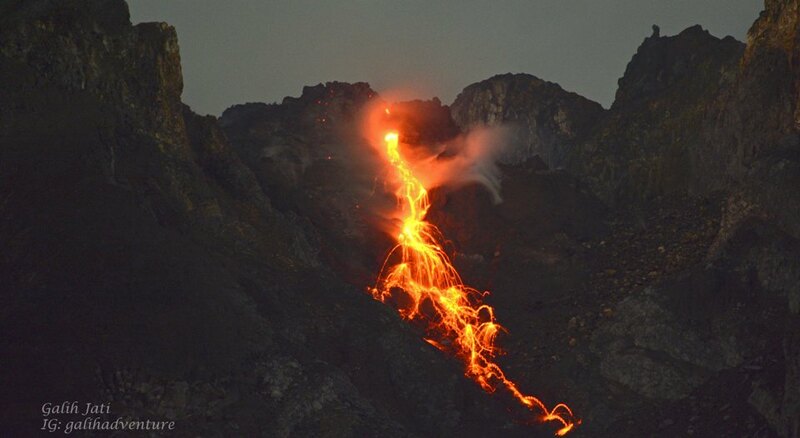 The flow of lava towards the Seca Canyon on the west flank, currently has a length of approximately 300 meters, the avalanches persist with incandescence after the explosions. There is a low level of outgassing, similar to that of a locomotive. Falls of fine ash particles are noted in communities such as Panimache I and II, Morelia, Santa Sofia, Sangre de Cristo, Finca Palo Verde, El Porvenir, Yepocapa and others located in this direction.